The Court Fools, are specific type of clowns mostly associated with the Middle Ages. In Shakespeares plays, the “Fools” are often the only characters willing to speak the truth in defiance of conventional wisdom/majority opinion. In the Islamic world, Sufi mystics tell tales of Mulla Nasrudin, the legendary 14th century mystic jester of Tamerlane. To relate, the closest position we hold in modern days to the Court Jester, would probably be the political cartoon satirist. They don’t make the news, they just mock it. The inner circle is a clump of clowns throughout the world whom feed their information from various sources. and have enough time to post them while maintaining professional and personal lives. Lebanese writers are welcome to join our editorial circle. To keep up with the inner circle’s updates, refer to the newspaper icon on the right labeled ‘RSS‘, and set it to your iGoogle, Flipboard. 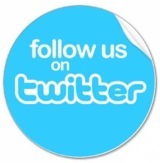 You can also request to follow us on twitter. Gilbert Younis’s section of “Lebanese Expats Jobs” is completely independent from the views and deeds of the blog section of the inner circle.